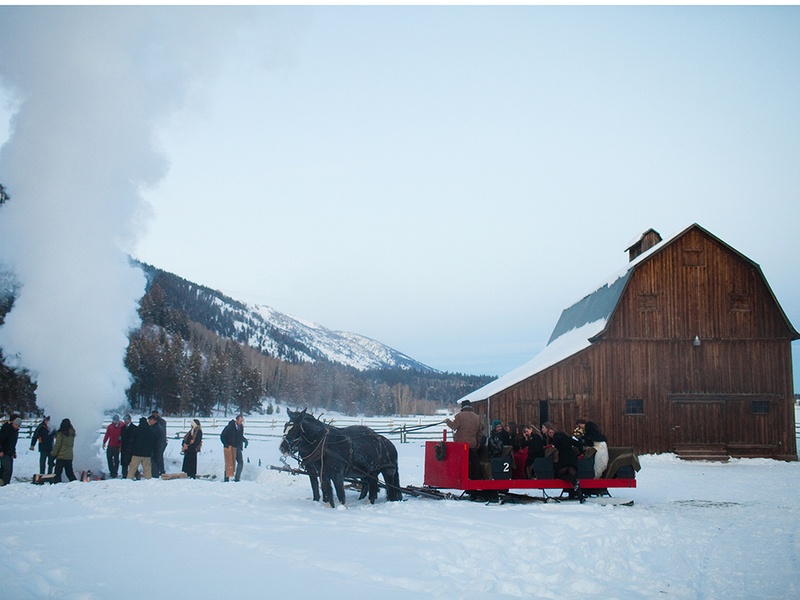 Wyoming is an unexpected place to have an outdoor Winter wedding. 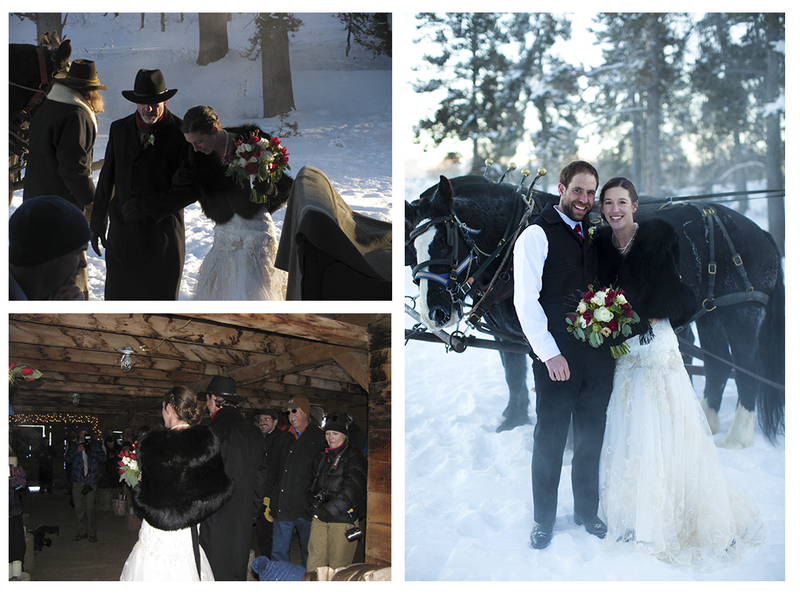 My illustrious Editor-in-Chief’s daughter was married in Jackson Hole, in a barn, in January—think stunningly beautiful and freezing snow. The temperature was -11 degrees … burrrr! 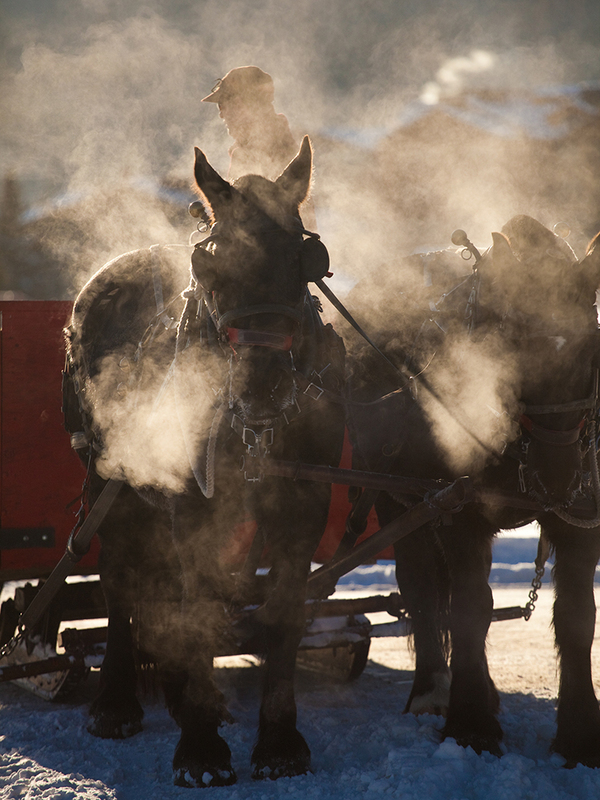 The guests skied to the historic Gray Barn or rode in sleighs pulled by teams of steaming black Percherons. Hot chocolate and hot toddies warmed the fingers and hearts of all, and a bonfire set the snowy white pasture ablaze. Tiny white lights wrapped large rustic beams and provided an enchanting atmosphere to the ceremony. 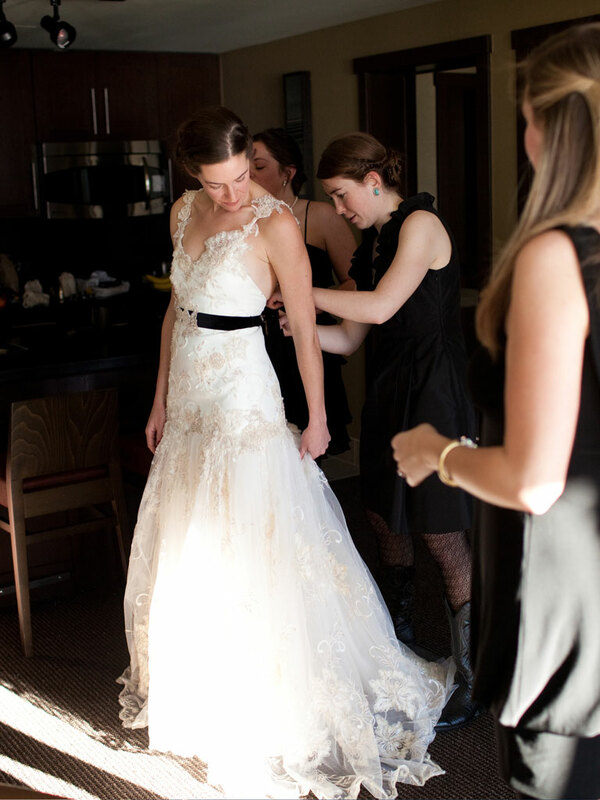 The bride wore a beautiful St. Pucchi gown and was wrapped in a black mink fur for warmth—we Southern girls get so few chances to wear a fur. The reception was held at the green—but luxurious—Hotel Terra. Table seating arrangements were named after local ski runs—The Sliver-Nez Perce, East Face of Teewinot, Red Sentinal Couloir, Chute the Moon, Maverick…. Flowers by Chloe arranged the centerpieces of antlers and birch bark vases on white table cloths referencing the Wyoming winter locale. 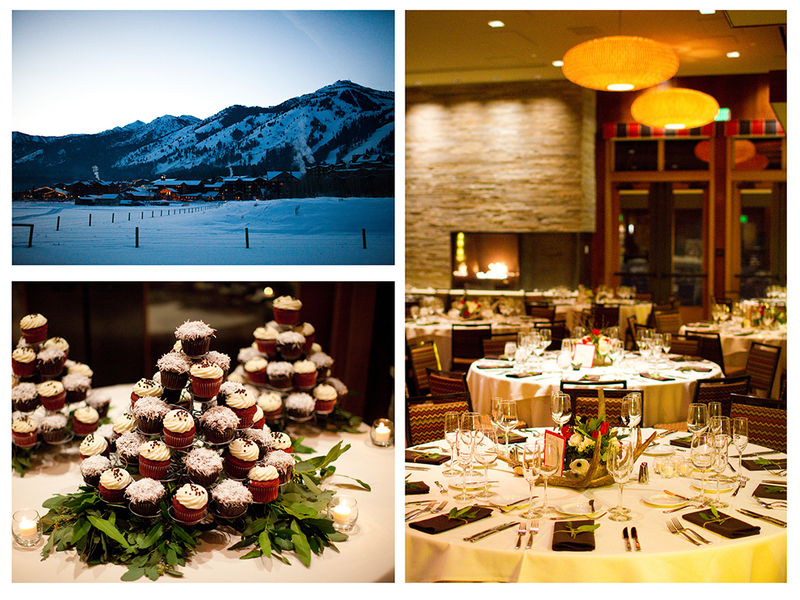 Need a destination for a Winter wedding—may we suggest Jackson Hole, Wyoming?! Gorgeous ! So unique….this Southerner has not seen a Wyoming weddin’ before. Thanks for sharing. 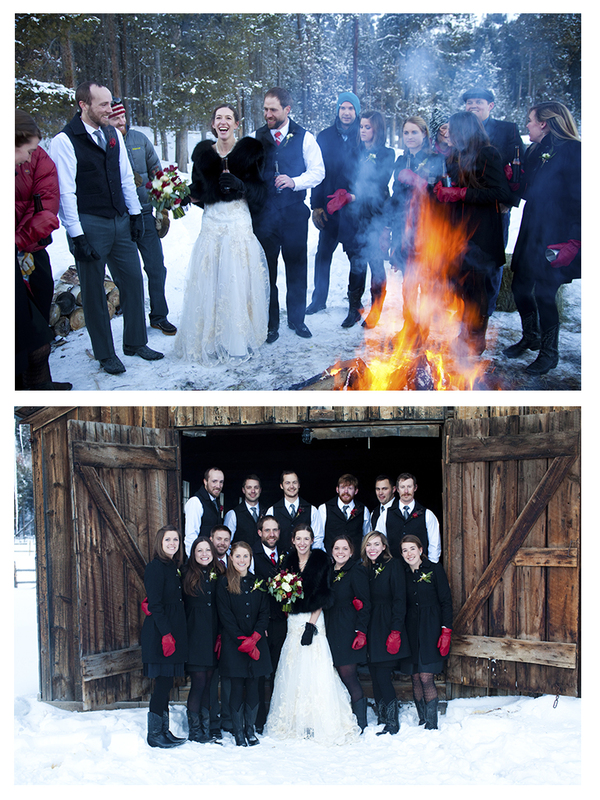 I love the bridal party with the bridesmaids in red woolen mittens ! I loved this wedding setting! Thank you Editor-in-Chief for sharing! The sleighs were just the best! This is so beautiful. I always thought a winter wedding would be gorgeous! Cathy, I love a Winter wedding. The red and black color combinations was perfect with the snowy background. Beautiful! Love Flowers by Chloe!!! This wedding was so incredibly beautiful. The antlers were so unexpected on the table. Everything was simple and elegant. 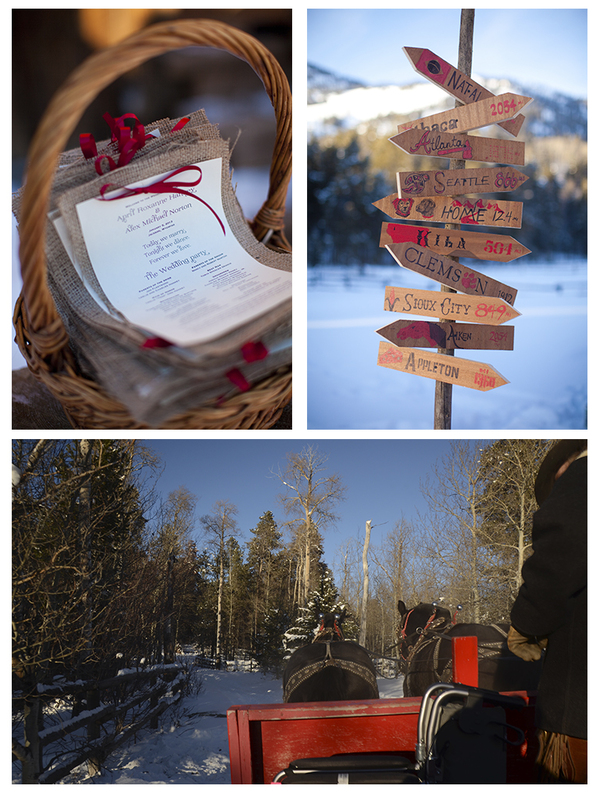 I can’t think of a better Wyoming wedding – so chic and beautiful – LOVE the sleigh!! I love the sleigh too, It repeats the red and black color scheme.